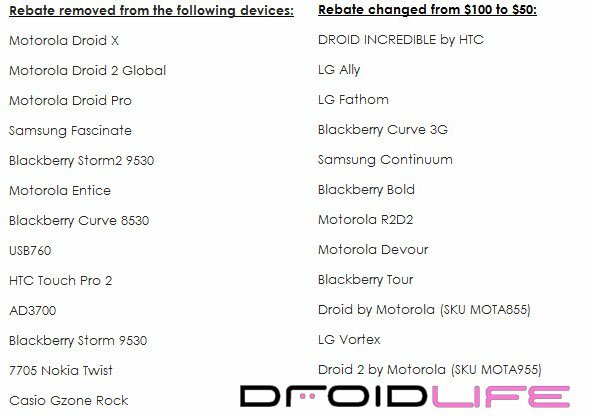 Yesterday our sources tipped us off to some rebate changes going on at Verizon and late last night we received there new list of affected devices. Most of the reps we’ve talked to are as confused as all of you on how this new pricing will work, but this at least gives you a look at how each device is being handled. We have to assume that devices like the DROID X will come in at a $199 price point rather than the $299 price it is currently listed at or they likely won’t sell a single one. We’ll have 100% confirmation on Monday, so keep it here.